SAN FRANCISCO (CN) — Attorneys for two agricultural scientists battling UC Davis for rights to million-dollar strawberry strains told a federal jury Monday that the school colluded with special interests to keep the plants away from California strawberry breeders. Former UC Davis researchers Douglas Shaw and Kirk Larson, who ran the university’s world-renowned strawberry breeding program until they retired in 2014, say the school rejected their proposal to form a private breeding company to continue the work after they retired by licensing its strawberries and paying it royalties. The University of California at Davis sued the scientists and their company, California Berry Cultivars (CBC), over rights to dozens of strains. The scientists and CBC, as cross-complainants, claim that the California Strawberry Commission, “driven by powerful farming conglomerates,” wanted to get rid of Shaw as a competitor, and pressured UC Davis to deny him a license by suing the school to keep the program open. Shaw and Larson say they proposed forming CBC, to keep supplying strawberries to California farmers, who have depended for decades on UC Davis’s program for new and better strawberries, after UC Davis threatened to shut down the program when they retired. 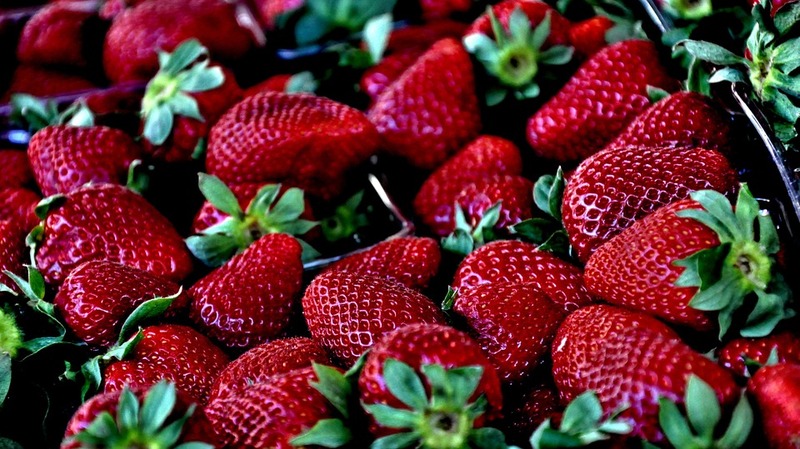 Not only did UC Davis deny Shaw a license, he says in a brief to the court, it chose to “satisfy … its proprietary breeding backers that did not want competition from the previously successful UC program,” by filing a patent application on 168 strawberry varieties that Shaw and Larson invented, to freeze CBC’s ability to work with the plants. California strawberries rake in $2.5 billion a year and are the state’s fifth most-valuable crop. UC Davis’s agriculture school has developed 56 varieties since 1945, creating strains that are bigger, taste better, stay fresh longer and yield up to six times more per acre. UC Davis said in its brief to the court that Shaw and Larson used its plants to develop new strawberry varieties to sell through CBC even though it denied Shaw a license, violating nine of its patents for its most successful strawberries. The school also claims Shaw and Larson began using its plants while they were still in negotiations, and still UC employees, but never told the university. In 2010, the school says, Shaw and Larson concocted a scheme to skirt U.S. patent laws by sending varieties from its strawberry program to Eurosemillas, a company in Spain that was a founder of CBC and one of the breeding program’s largest contractors. Under agreements between UC Davis and Eurosemillas, the plants can be tested in Spain before going to market, but cannot be used for breeding. But the university says Eurosemillas harvested seeds of the mother plants in Spain, and that CBC sent the seeds to the United States for use. In cross-examining Professor Mary Delany, an executive associate dean at UC Davis’s agricultural college, attorneys for Shaw and Larson tried to show the jury that the school at first encouraged Shaw to launch a private company to license its plants once it shut the program, but changed course and denied him a license after it reached a settlement with the California Strawberry Commission. Delany denied that the school planned to end the program, but acknowledged that it had been negotiating with Shaw for a license. She said the school’s decision not to grant Shaw a license was unrelated to its settlement with the strawberry commission. Addressing the claim that the school acted in bad faith by seeking patent protection on 168 plants at once, Delany said the school filed the application after it denied Shaw a license and he threatened to release the plants publicly unless it changed its mind. She said a public release would have caused the school to lose its rights to the plants and the royalties it needs to support the breeding program. “We found it a threat and we were very concerned about that,” she said. Krevans is with Morrison & Foerster’ Lanier with Jones Day, both in San Francisco.